On April 4th 2012, leaders of Advice Interactive Group joined the main Google Places Team, at a Google Hangout streamed LIVE from Google headquarters. Joining us from Google were Joel Headley and Vanessa Scheider via real time live video discussion. The discussion allowed us to ask Google direct questions about Google, Google Places, and the Google Places search strategy that was very informative. Being able to join these types of sessions keeps us at Advice ahead of the game and you ahead of the competition. We believe that Google’s contractors or phone call check up staff is using Google’s own Google Earth product to view the type of area where you have your business address. If the address looks like it’s in a residential location, the recommendation is to hide the address. No questions. 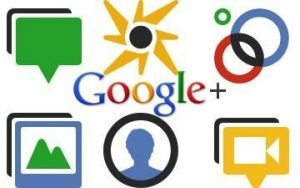 We believe that Google+ Profile Pages and Google+ for Business Pages are becoming a very authoritative social signal to Google, especially if you have you have multiple business locations. Here is an example of our Advice Interactive Google+ Page. Look up your Google Places listing. This is exactly what the Google representative sees when they look at your address. Go to Google Maps and enter your address, then zoom in to the place marker. Here is a quick tutorial on Google Maps (tell people to mute sound if possible) . As you can see, this random example shows you how a business location can look to any user that uses Google Maps or Google Earth to find a particular business. Search engines are all about connecting their user to the most relevant search results. As the Google Places algorithm evolves, it seems as though search engines are shifting to rely more on “social signals” rather than “backlinking signals.” Recently Google de-indexed 100,000,000 million private blog networks that were known for poor content and were part of a paid linking “scheme.” The point is social aspects help build quality Places rankings. We recently posted a blog on how Google+ Page posts are showing ranking on Page 1. If you do not already have an optimized Google+ for Business Page, you need one now. Here is a link to create your own Google+ Business Page or we can do it for you. We know that Google is trying to tie in all their products into 1 hub and we firmly believe that in order to truly capture the “new” type of local rankings, each business needs to have a Google+ Profile Page and a Google+ Business Page. The profile page is for the owner and +Business Page is for the business brand. We at Advice Interactive believe in going the extra mile – especially when the internal product is part of the bigger picture. Everyone knows Google has the lion’s share of searches, and if they give us “signals” on how to prove your relevancy and legitimacy in a user search, we should comply.